Vaughn Ventus SLR Junior Goal Pant | Sports Etc. The Ventus SLR Junior goal pant is designed with a wide profile cut to create added room and comfort. The large diameter upper waist section provides a loose fit to give complete coverage and flexibility for improved body movement. 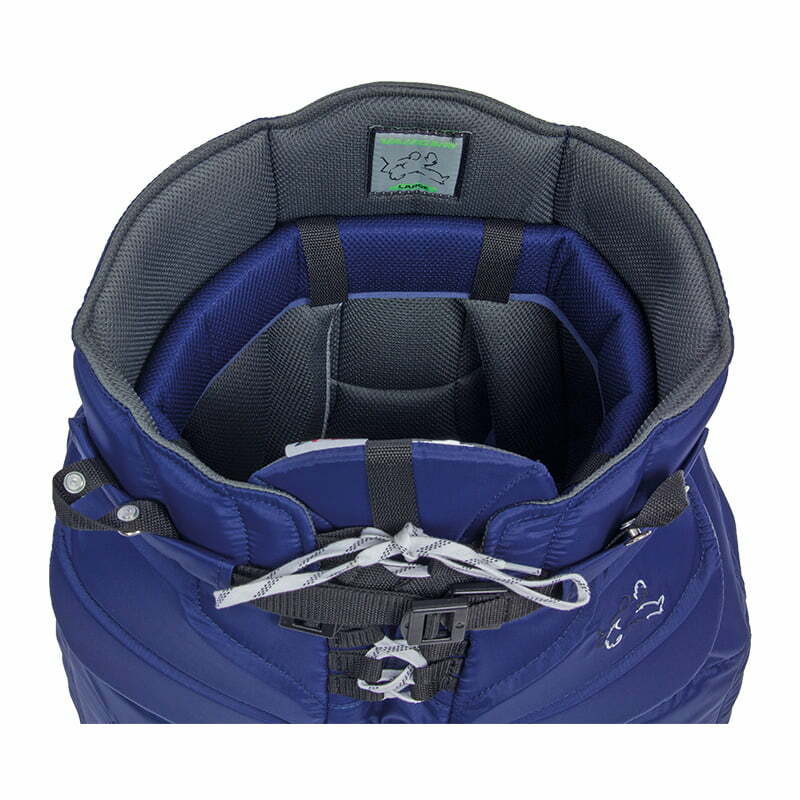 Wide style thigh guards are designed to stay centered on the thighs and hang naturally to help fill the five-hole area. 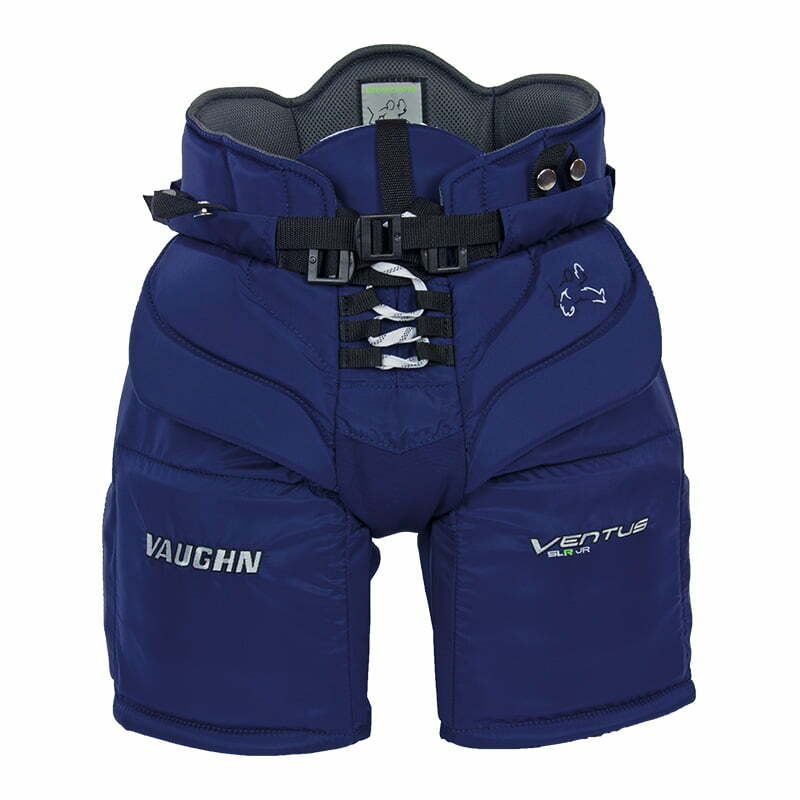 Large side thigh slash pads help to extend net coverage and increase the protected areas and square the edge of the pant and provide a stiff blocking surface. Quick dry internal mesh lining provides for added comfort and increases air flow around the body to reduce heat retention. 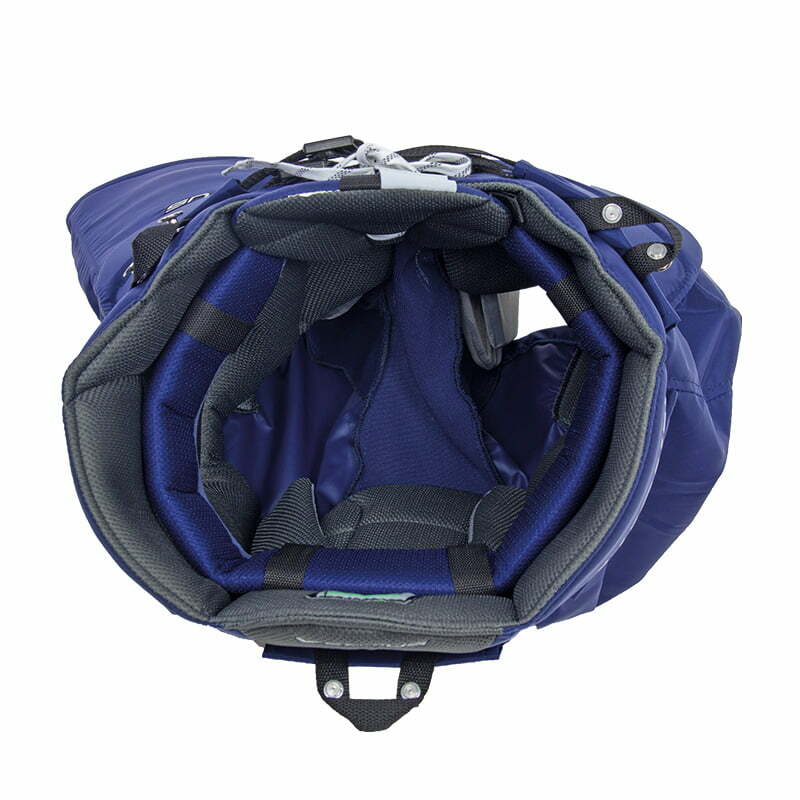 Large molded hip sections and extended length tailbone protection provide expanded protection. Sports Etc Performance To Value Rating– 8 out of 10. Traditional goalie pant from Vaughn. Comfortable and protective fit for any junior sized goaltender.